Concept cars are usually a good indicator of where a brand plans to go in the near future but not in the case of Bentley. Bentley's latest concepts have all been painstakingly gorgeous sports cars like the EXP 10 Speed 6 and the all-electric EXP12 Speed6E but the company has continuously said it isn't interested in actually building them, despite unanimous praise from the media. Speaking with Autocar, Werner Tietz, Bentley's board member in charge of engineering, expressed once more that "the concept positioning was not something that fits with our future strategy now. Pure sports cars are not a topic for us now." Instead, Bentley will look for new ways to expand its current portfolio of Grand Touring cars. "Since joining, our first move has been to work on the current range and to set a better cadence for launching products at spaced intervals. Now we are looking at what future possibilities there are," Tietz said. "The first thing we want to be sure of is that we have a GT car in every segment, and it is not certain if we are there now. There is more potential in that segment, I think. Bentley can offer something unique, particularly around delivering cars with a sport edge that can, at the push of a button, transform into a luxury, refined car," he added. Bentley certainly won't go any smaller than its current range of vehicles but Tietz did leave open the possibility of a larger SUV above the Bentayga. "There is some potential when you look at SUVs too, especially around a car larger than the Bentayga if you consider its value to the Chinese and American markets. So, yes, that is one opportunity we are exploring. 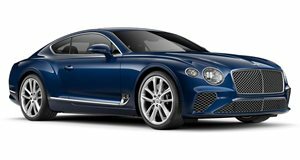 Bigger cars are an interesting avenue for Bentley – for now, we are not thinking about doing anything smaller, as that’s not what we’re about," Tietz explained. 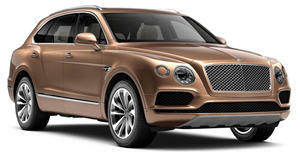 None of the ultra-exotic SUVs currently offer a third-row, so this could be an open space for Bentley to target with a larger SUV. Tietz also gave us some indication of what we can expect from future electrified Bentley models. "We are investigating several concepts for electrification, but for now the promise is that we will offer a plug-in version of every car we have on sale today by 2025. Our research suggests that is what customers want now. An electric, city-focused car is one idea we are thinking about, it’s true. But it is just a concept in our minds. But would an electric car have to be a new car line or a successor to something we already have? What kind of range does an urban car need to have? There are so many directions we need to consider rather than just saying ‘we will make an electric car,'" he said. Bentley's future still remains a bit of a mystery but Tietz said the company would give clues to its future products at events during a 100th-anniversary celebration in July.